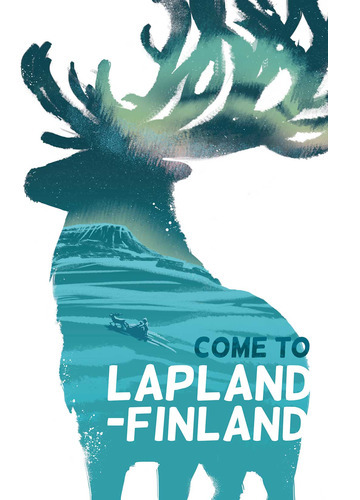 Through my Lapland-themed poster I wanted to illustrate how the rough beauty of Lapland catches you and you can feel strong and free. 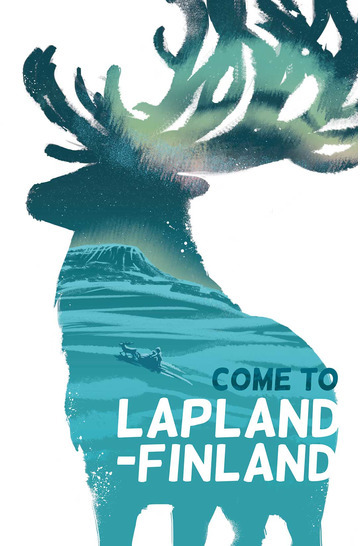 Mystical northern lights, moonlight shimmering on a snowbed and the ecstasy of a reindeer ride take you to a fairytale-like world. 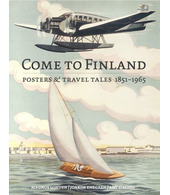 I got the stylistic inspiration from Helge Mether-Borgströms “Land of romance” -poster from the 1950’s, where a silhouette of map of Finland opens to a beautiful lake-scene. I used Photoshop to create this poster.